BC Forest Discovery Centre: Osprey Sightings! 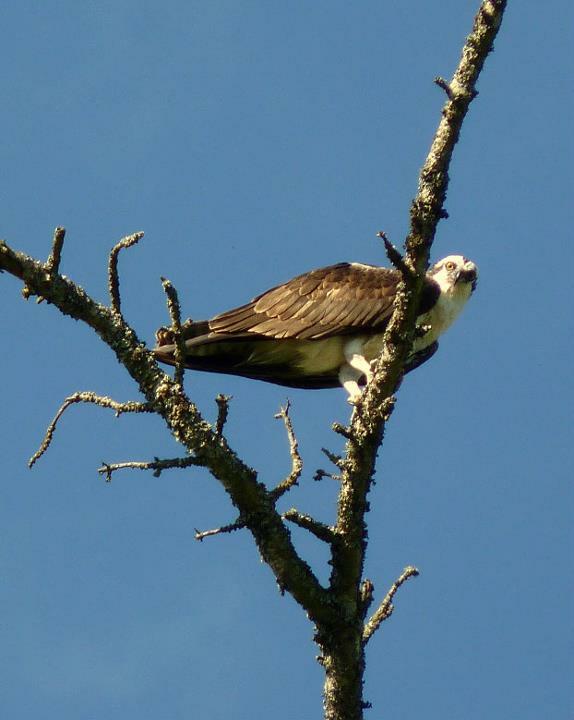 An osprey has been regularly spotted at the Centre over the past week. 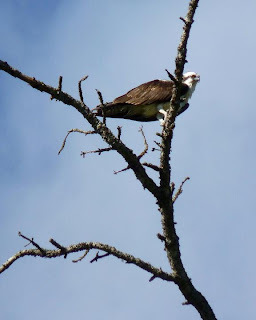 It has been seen perched on a tree at the south end of the trestle, flying overhead and enjoying a meal on a dead tree over the duck pond. The BCFDC is a great site for wildlife watching. 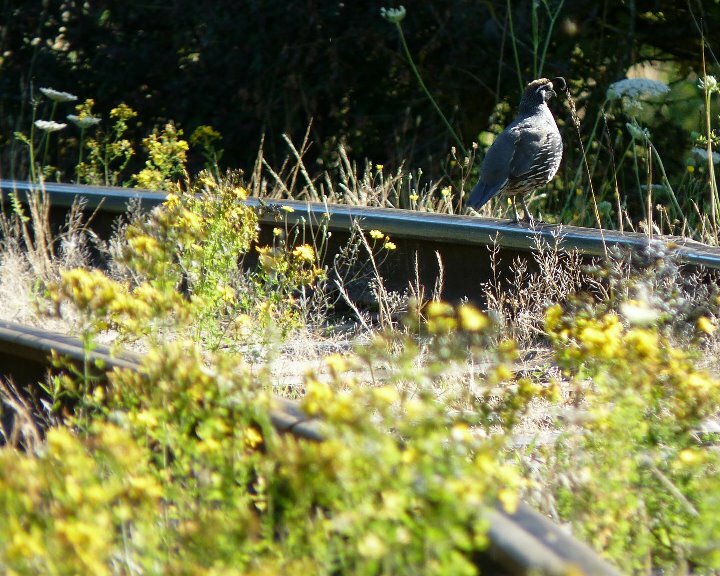 Our proximity to the Somenos Marsh provides a great location for sightings of all types. There are reports of a momma deer with a fawn hanging around as well! Here are some photos taken of this magnificent bird from last week. A california quail was also spotted along the tracks just opposite the Somenos Marsh Interpretive Sign.